This policy is applicable to all personal data processed by European Civic Forum (ECF), registered at 167 boulevard de la Villette, 75010 Paris, France. We strictly limit the processing of your personal information, and work only with other organisations who do the same. Any attempt by government agencies or private sector organisations to gain access to any information that you give us will be vigorously challenged. 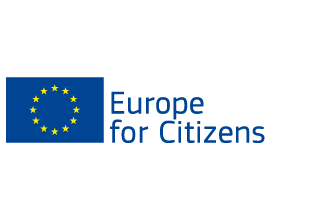 The European Civic Forum (“ECF” or “we” or “us” or “our”) is committed to ensuring the privacy of all our users and visitors of the MEGA campaign website (https://megacampaign.eu). As defenders of the right to privacy and of digital rights, we are committed to respect your rights when you visit our webpages. This policy clearly explains how we treat your information and what are your rights related to this information. In some circumstances your information may be shared with us by third parties, but only where you have specifically consented. Examples include registering for a human rights education course with our external provider, or if you register your interest in joining our campaigns through Facebook, Facebook will share information such as your name and email address with us. Please note that you can ask anytime about the personal information stored on our servers, simply contact contact@megacampaign.eu. We do not propose advertisement of any kind on our page, nor do we sell products. Facebook, Twitter and Instagram for social media communication.